The Auróra Civil and Community House started in the fall of 2014 as a self-sustaining social enterprise that provides space for individuals, groups and non-profit organizations working in different social, political and cultural fields to share their ideas, build new relationships and create new cooperative projects. The first 1,5 year of Auróra has proven that this model works – there is need for it, and there is a critical mass of well-skilled and committed people who are willing to engage to make it happen. Our aim is now to stabilize our functioning via organizational and infrastructural development, and to focus on community organizing among local inhabitants in the 8th district. 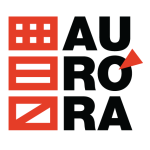 Auróra’s goal is to maintain and develop a self-governing and self-supporting civil and community house run by volunteers, which is home to civil and community initiatives and to actively straighten grassroot-democracy. 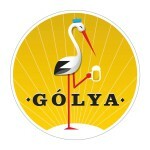 Gólya („Stork” in Hungarian) is a co-operative bar and community house in the 8th district of Budapest. It has a large inner space with a garden, a separate office space, a room for arts and crafts, and an attic that primarily serves as a movie theater. The bar and kitchen provide a wide selection of drinks and meals, including daily lunch menus every weekday. There are live music events every week, with other programs such as film clubs, presentations, lectures, discussions, board game playing, art exhibitions, and regular exchange markets for used products. Gólya is an experiment that provides an alternative in the cultural life of Budapest on how to maintain a social and cultural forum for a long time. The goal of the cooperation is to transform from a simple social area that allows an existing medium to meet, to a community house that serves the district not only as a passive space, but something that actively shapes it surrounding. By working with other socially critical organisations, Gólya aims in the long-term to become an example of civic structure able to spread throughout the country and form a national network of community houses, and to become a objective social power that has the ability to have a real impact on the society surrounding us. Művelődési Szint (Community & Art Floor, in Hungarian) or in short Müszi is an independent complex cultural space, an incubation house for artists and activists, a space hosting community arts projects, creative workshops and various cultural and social events open for the general public. Müszi is an open minded meeting place which opened its doors in September 2012, and has become a junction in the cultural life of Budapest, hosting an average of 120 various events per month. Streching over 2800 m2s, this presentation and events center has 35 studios for resident artists, creatives and NGOs, and 4 multifunctional event spaces, which can host up to 300 persons. We ensure a creative environment for artistic work, while also keeping in mind the ideas of social change and sustainable development. 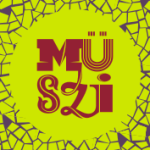 Müszi stands as an unprecedented venture in Budapest, a venue attempting to combine its artistic and social mission with business principles in a sustainable manner. Szimpla defines itself as a ’cultural reception space’, indicating intention to embrace genres and performers off the mainstream, presenting them in an informal atmosphere. Indeed, in converting an old factory into a huge open-air cinema and pub, it has shown able to create a unique framework for hosting concerts, theatre shows and many different cultural events. Moreover, with constantly supporting initiatives for urban sustainability, Szimpla has been serving as an ultimate incubation house of green ideas from the very beginning. 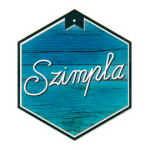 The Szimpla lifestyle is brought to life by culture, creativity and constant change day by day. 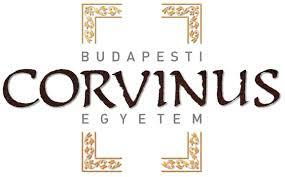 Right from the beginning, their mission is to shape their environment, making it more liveable and human friendly, by searching for the cultural treasures of Hungary and the world, by introducing and managing creative talents and their products and by implementing and operating models that help sustainable development in many walks of life. The Szimpla ruin pub is also a civic base. Apart from providing space every week for non-profit organisations to introduce themselves and to raise funds, it is actively participating to Budapest civic life. Szimpla mainly and actively focuses on making its street, area, district more human centred, making Kazinczy Street a pedestrian area, validating more rational urban planning principles, promoting green trends and improving sustainability. 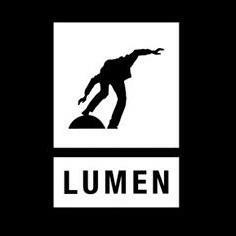 They also focus on youth activities, as a consequence of their audience composition. As a value-based bank, we are a community building financial institution, which aspires for active social participation together with its clients and consciously develops its environment. For this purpose, we provide connection opportunities between various interest groups, such as deposit owners, loan recipients, civil society organizations, private individuals and enterprises. We offer special decision-making rights to our clients, by which they have the opportunity to support organizations and their beneficial projects that are important to them. We believe that money is not a goal, rather an instrument. The conception of LATARKA can be defined by the words: open-mindedness, dynamic and interdisciplinarity. According to open-mindedness, LATARKA is an alternative exhibit area where works of Hungarian and foreign artists can be seen. Different events are connected to the exhibitions, such as concerts, professional discussions, fashion shows, movie evenings etc. When choosing the works and events emphasizing interdisciplinarity is of high importance. Diversity, combining different branches of art and provoking conversation are main principles of curatorial work.